After Minardi had vanished from the Formula 1 grid, Paul Stoddart and Gian Carlo Minardi parted ways. Gian Carlo Minardi started a team in Euroseries 3000 in 2006, which won three races in its inaugural season. In 2007, "Minardi by GP Racing" as the team was known, took the drivers title with Italian Davide Rigon and also secured the top spot among teams with nine victories. 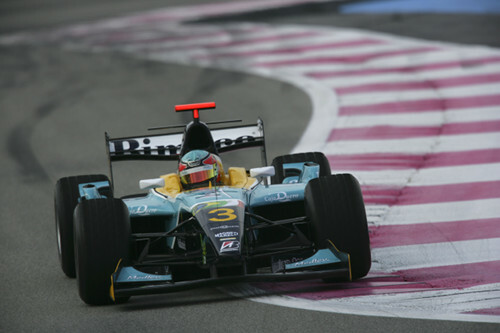 Minardi also entered GP2 in 2007 and was known as "Minardi by Piquet Sports", with drivers Roldan Rodriguez and Xandi Negrao. Negrao took a second place in the Turkish sprint race, while Rodriguez came in third at the sprint event in Hungary. The team was renamed Piquet Sports the year after. Minardi regularly appears on Italian TV as a Formula 1 pundit and, together with his son Giovanni, manages the careers of young drivers. 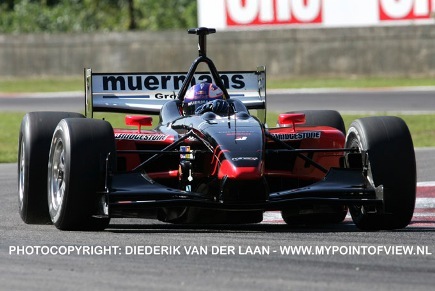 Stoddart moved across the Atlantic and in 2007 established Minardi USA, a team in U.S. open wheel series Champ Car. Together with Robert Doornbos, who raced for Minardi in Formula 1 in the latter part of the 2005 season, Minardi USA had a good season, winning twice. Doornbos took the third spot in the 2007 championship. The team's other driver, Briton Dan Clarke, climbed the podium on one occasion, finishing 13th overall. When Champ Car merged with Indycar after the 2007 season, Paul Stoddart left the sport. Red Bull initially cut some jobs in Faenza as it used cars developed by the main Red Bull outfit but this changed in 2010 when the team started producing its own cars. In 2008 Sebastian Vettel won the Italian Grand Prix for Toro Rosso with many an Italian newspaper claiming that it was "Minardi" which had finally won its maiden victory. Though initially criticised by Minardi fans, Toro Rosso has kept the Faenza factory going, securing many high-tech jobs in the Faenza region for over a decade.